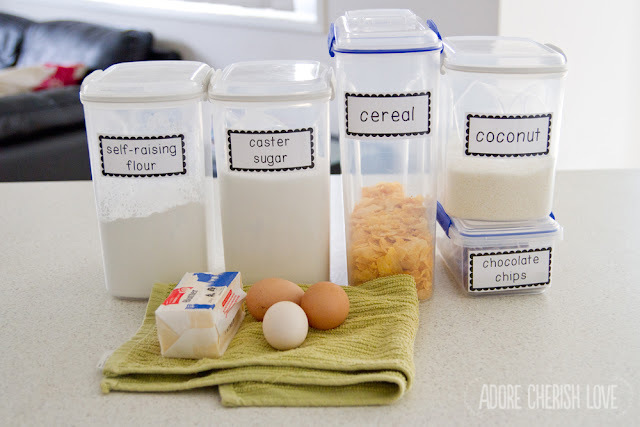 This week my hubby started back at work for the year so I wanted to make some treats for him to take in his esky. I have been gluten free for almost a year now and tend to make a lot of our treats with gluten free flour. 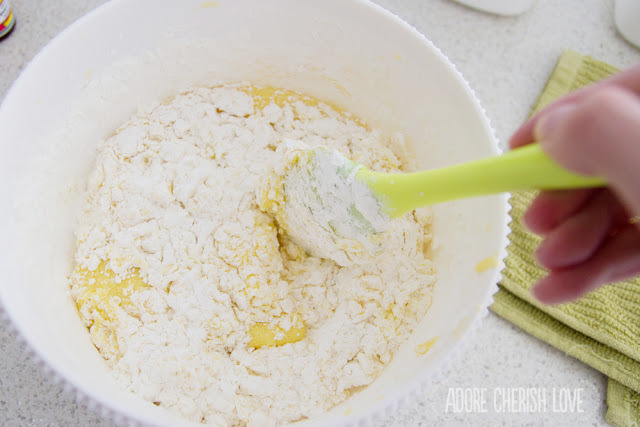 They usually work out pretty well but are often a bit more crumbly than the normal recipes! 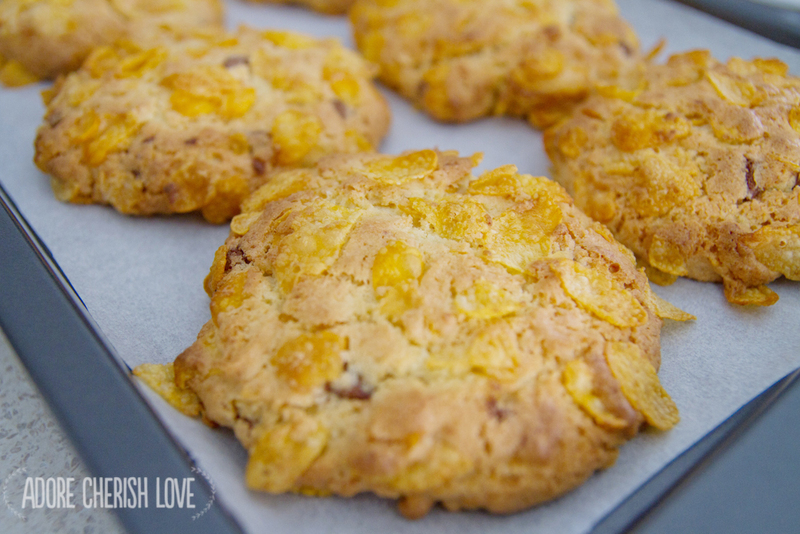 I decided to make some man sized cornflake biscuits with choc chips instead of sultanas - yummm! Now I was planning on sharing the recipe but for some reason I completely forgot to save it! So even though they were amazing, I won't be able to recreate them haha but here are some pics of the process! First I beat the eggs and sugar together and then added the vanilla essence (not pictured) and three eggs to the mixture. 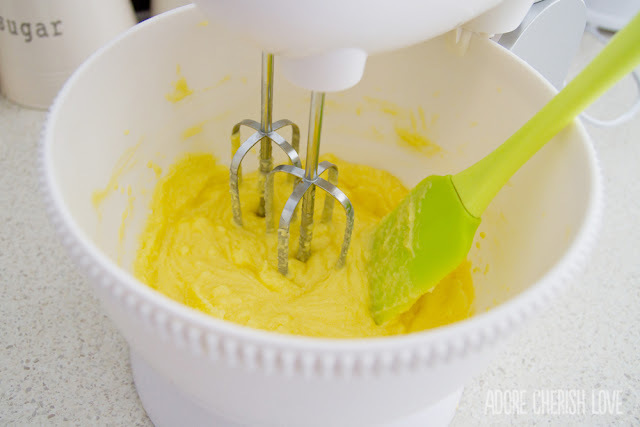 I like to use a spatula to scrape down the edges as my mixer mixes away as it often misses the bits on the side. Next I sifted in the flour and folded it in gently. 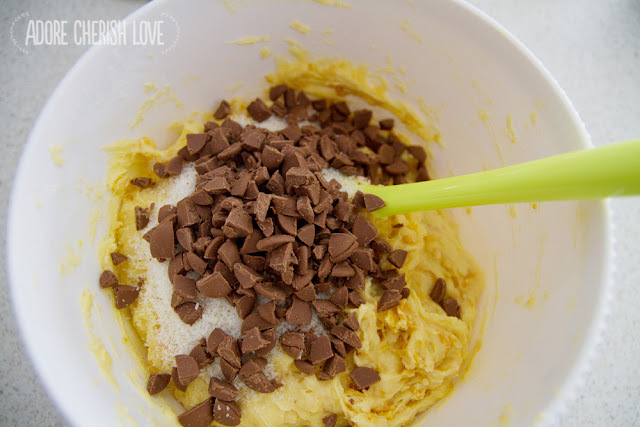 After that, I added half of the crunched up cornflakes, the chopped up chocolate pieces and the cup of coconut. Next time I will be sure to have small choc chips in the cupboard because it took forever to cut them into smaller pieces! Finally, I rolled the mixture into very large balls and flatted them between my palms. 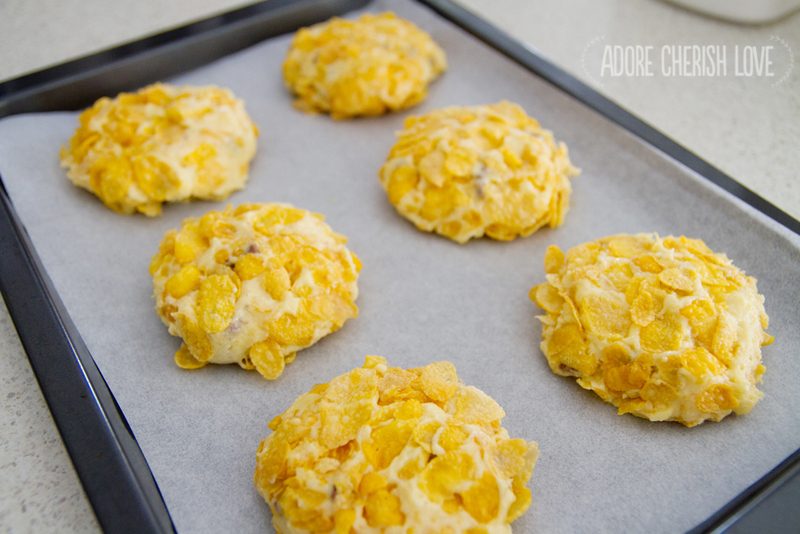 Before you pop them on the tray, you also roll them in some more crushed up cornflakes so they have a nice crunch on the outside. These cookies turned out to be a huge hit and we even froze 7 so that hubby can enjoy them for weeks to come! There is a similar recipe to this on bestrecipes.com.au - check it out!